Dr.Malpani's Blog: Embryo Transfer vs Embryo Implantation- What is the Difference? 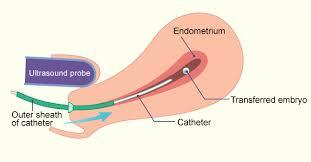 Simple, embryo transfer is like seeding, and embryo implantation is when the seeds start to germinate and grow. Not all seeds grow, not all embryos implant !